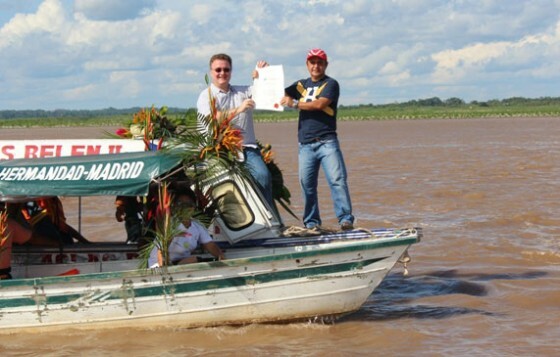 On Sunday, New7Wonders Director Jean-Paul de la Fuente handed over the Official Finalist Certificate to the President of the Loreto Region of Peru, Yván Vasquez, at a ceremony where two boats met in the middle of the Amazon river, nearby the Loreto capital Iquitos. 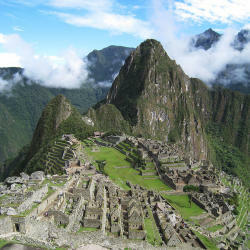 Peru is unique amongst the nine countries that together share the New7Wonders of Nature Finalist the Amazon, as it is the source of the great river itself. The other nations that share the Amazon are: Bolivia, Brazil, Colombia, Ecuador, French Guiana, Guyana, Suriname and Venezuela.